Episode 18 is up! Not only is it up, but due to internet issues, we don’t run as long as we usually do — great news for those of you who think we talk to much — and for those of you who like our length — don’t worry, I’m sure we’ll be back to normal next time. We pack a lot of stuff into a short time. This episode we’re talking sequels vs. spinoffs, what we’re watching, last minute Kpop tickets, answer a bunch of listener questions, and end with a talk of the new addition to Netflix’s Kdrama queue. Oh, and Stephanie is able to sneak in some sweet, sweet Saved By the Bell knowledge. 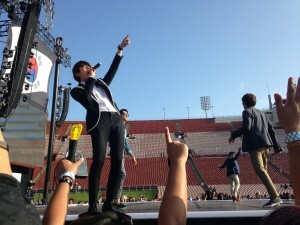 Cherry’s insanely awesome concert photos. 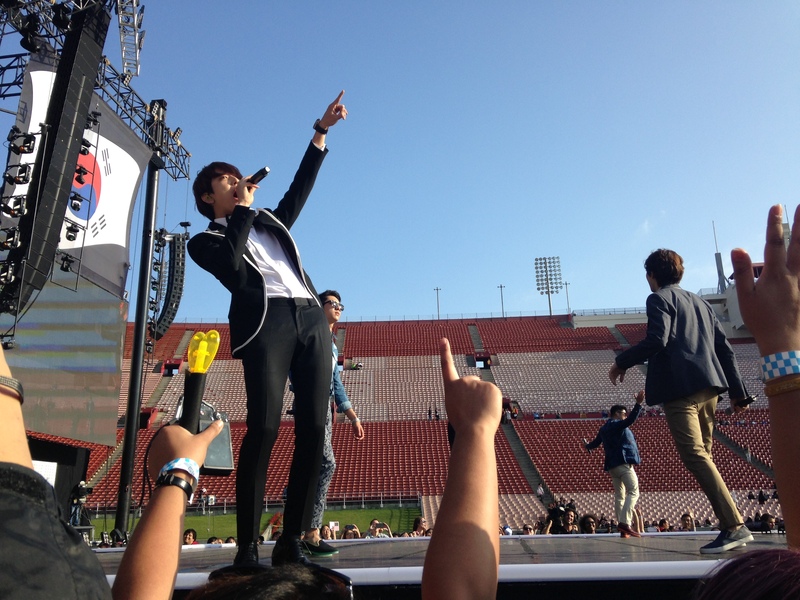 Just as they were letting us in, CNBlue was doing their soundcheck. 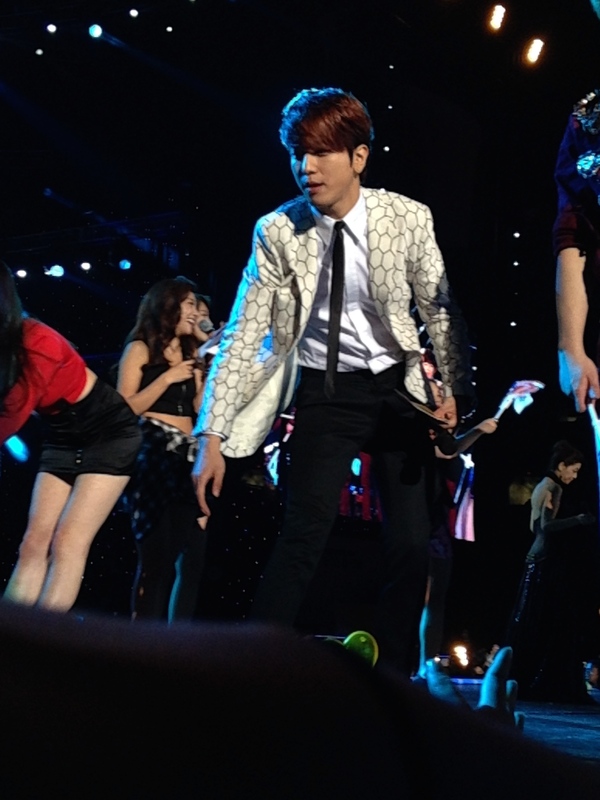 Right after this, I swear, Yonghwa looked right at us. Really. 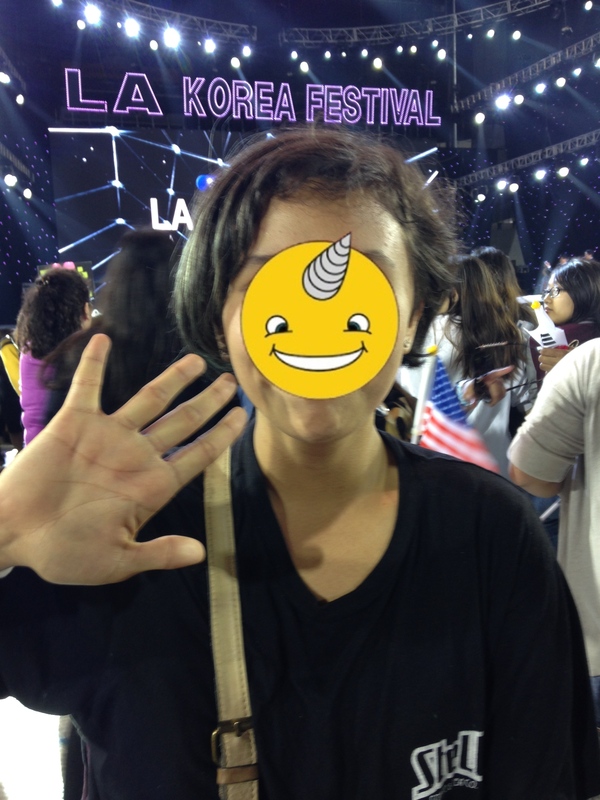 The Mystical Being of Unicorns holds out her magic hand that was touched by Yonghwa of CNBlue at the LA Korea Festival. 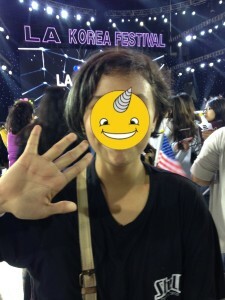 …and The Mystical Being of Unicorns was in shock after she touched Yonghwa’s hand. She swore it was magic and she’d never wash it again. Here is the uber adorable sleepy kitten video from Brother from You From Another Star’s Instagram. The actor Stephanie couldn’t remember who starred in her favorite version of Jane Eyre is Ciaran Hinds. After we were done we realized that I Need Romance is probably more of a thematically linked series rather than a spinoff. Jung Woo Sung, for perhaps implying you were too old to play Mr. Darcy. Fans of the Healer couple, I’m sure they are lovely. Elizabeth Darcy — she completely overlooked you in the fantasy casting of Pride and Prejudice. Better luck next time. Kdrama, for completely abandoning you the last couple of weeks. She promises, it’s not you, it’s her. Not kdrama related, but my absolute favorite Jane Eyre adaptation is the BBC version with Ruth Wilson and Toby Stephens. Thanks! I’ll keep my eye out for it!